Does any of the following seem familiar to you? 1) You’re able to write an academic essay in English but the moment someone on the street makes small talk with you, you freeze up and don’t know how to respond. 2) You can give a great presentation and understand presentations in English at a conference but you hate the breaks because you’ll actually have to socialize and have casual conversations while you’re getting some refreshments. 3) You’re on top of your game at work, you can talk a long time about marketing or sales but you can’t stand the thought of making small talk before business meetings with your native English-speaking colleagues. 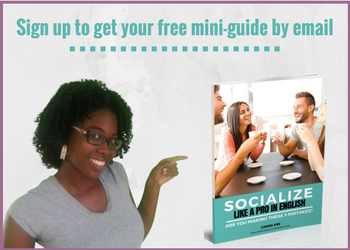 There is a struggle for non-native English speakers to have casual conversations and make small talk even with an advanced level of English. That’s why I offer small talk training programs for non-native speakers such as The Small Talk Check-up where I analyze your casual conversation skills to help you identify the areas you might need to improve on. Click on the image or the link above to learn more about The Small Talk Check-up. Or you might be interested in The Casual Conversation Lab where I will teach you how to be more spontaneous and natural during your small talk conversations. If you’re interested in finding out how I can help you improve your casual conversation speaking skills, schedule a free consultation with me here. 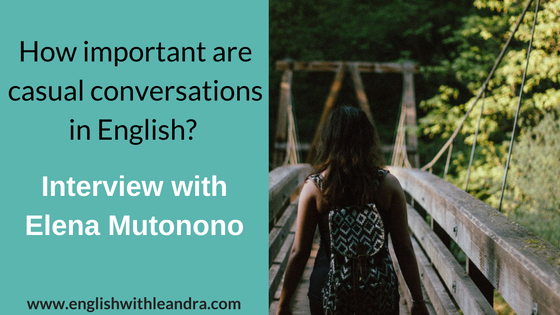 I had the privilege of interviewing Elena Mutonono of elenamutonono.com and we talked about her experience with making small talk when she first moved to the US. She’s a non-native English speaker. She’s an expat living in the US. 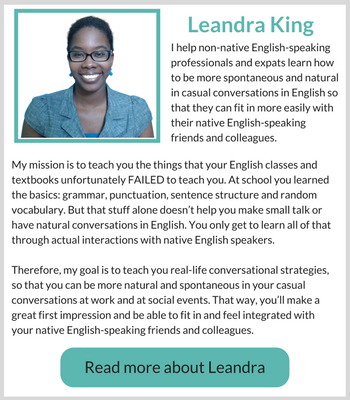 She has developed native-like fluency and can highlight some of the mistakes she sees other non-native English speakers making. In the video interview with Elena, you’ll be able to get a non-native speaker’s perspective and learn of some of the mistakes that you might be making in English (even if you have an advanced level of English). I’m sure you’ll find it eye-opening! Watch the video interview with Elena below! Why is it so difficult to have casual conversations in English? I’ll tell you why and the answer is a simple one. Casual conversation skills are NOT taught in textbooks and in language classes. Therefore, it’s no wonder that we graduate from language classes with the ability to talk about random complex topics BUT struggle greatly to just have a natural conversation and be more spontaneous in English. Often times, non-native speakers are not taught the subtle cultural nuances and it therefore affects the way they speak. As you would have seen in the video interview with Elena above, what is polite in a foreign language might not be polite in English. That leads me back to the reason why I teach you small talk skills in my training programs. My programs are created as a short-cut, to save you a lot of time and frustration while giving you your desired objective. And what’s that objective again? To be able to be speak more naturally and spontaneously when you’re having casual conversations and making small talk in English and therefore be able to socialize and fit in easily with native English speakers. There’s a long and short way to lots of things and this is no exception. Long way– You could spend hours searching for things on the internet and watching tons of TV series like I did in French and writing down a bunch of expressions. Did it help me? It sure did but it took a lot of time. Short way– You could learn with me. My training programs include lots of authentic resources and practical assignments to help you improve your casual conversation skills. Just imagine how confident you’ll be and feel as you’re able to chat and socialize with native English speakers during lunch breaks. Think about how it will affect your relationships with others. You’ll create better relationships and make more friends and most importantly, you’ll fit in and feel accepted! Who doesn’t want to be more confident and feel accepted when in a foreign country? 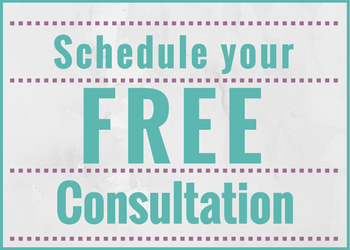 If you’re tired of struggling with casual conversations and if you want to take your small talk skills to the next level, then book a free consultation with me to find out how I can help you with my Casual Conversation Lab.